You’ve finished your long aerobic bout, you’re breathing hard, you’re thristy, and you know your body needs something to help recover? What’s best for recovery after a hard aerobic bout? 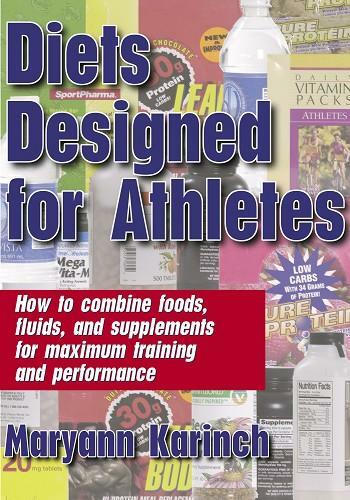 The following except comes from Diets Designed for Athletes , reprinted here by permission of Human Kenetics. “Recommendations on protein recovery products emphasize the importance of high-glycemic carbohydrates. Don’t forget that carbohydrates help make the most of the protein you ingest to aid recovery. Also note that protein affects the rate of absorption of carbohydrates you consume to aid your recovery after an endurance workout. been running, cycling, or doing any intense cardiorespiratory exercise for more than an hour with your heart working at 60 to 80 percent of maximum, then your liver and muscle glycogen levels might be very low. During the sustained activity, as well as in the hour or two after the activity, a product that helps bring your glycogen levels up can serve you well. You also lose water and sodium during endurance activities, particularly if you do them in the heat, and you affect the balance of your other electrolytes: potassium, calcium, magnesium, and chloride. There are two ways to address glycogen depletion, dehydration, and electrolyte imbalance with performance-enhancing products: a specially formulated drink or a combination of water and a sports food. The first thing to note is that drinking something is always part of the process. Figure 3.1 highlights the importance by illustrating how dramatically performance diminishes with fluid loss. If you use a sports drink during an event to aid recovery as you go, be sure it has a low carbohydrate concentration (around 6 percent). Ideally, it should have 14 to 19 grams of carbs per eight-ounce serving—6 to 8 percent. Anything with a carbohydrate concentration greater than 10 percent can be used as part of a carbohydrate loading program, but you want to stay away from high-carb products around race time, because they can cause diarrhea, nausea, or cramping. On the other end of the spectrum, a drink with a concentration of 5 percent or less won’t give you the boost you want. Follow these broad guidelines on what to look for in sports drinks products and what to stay away from. First, don’t choose a drink that’s carbonated, contains a stimulant, or is full of refined sugar, like a cola drink or one of the clear, bubbly beverages that gives you a jolt from either caffeine or herbs. Second, remember that water alone isn’t enough to support your full recovery after an endurance workout or competition. These insights are based on research and on the experience of elite athletes interviewed for this book. One piece of research (Brouns, Hawley, and Jeukendrup 1998) studied the effects of different rehydration drinks on competitive cyclists. After their workouts, some of the cyclists were given caffeinated soft drinks, others low-sodium mineral water, and others a carbohydrate-electrolyte solution—a sports drink. The athletes who drank the soft drinks and the mineral water showed a marked loss of every one of the electrolytes. Moreover, the athletes who consumed the soft drinks were at a further disadvantage, because the caffeine provoked urination; essentially, it dehydrated them even more. (Other stimulants, such as ephedra, have the same effect.) In contrast, the athletes who ingested the sports drinks were able to rehydrate and boost their sodium, magnesium, and calcium levels. The drink did not affect their potassium and chloride levels, however. (That deficit will be addressed separately.) The study concluded that drinking water or soda with caffeine after a workout results in a negative electrolyte balance. Consuming a carbohydrate-electrolyte drink with moderate amounts of sodium, magnesium, and calcium definitely helps an athlete recover. Regarding the carbonation issue, consider that part of your body’s natural process of producing energy relies on the oxygen (O2) you breathe. A byproduct of the process is carbon dioxide (CO2). You don’t want a lot of carbon dioxide in your system because it’s poisonous to cells. It’s important to eliminate the excess, which you generally do through normal cardiovascular processes (blood flow and heart action) and respiratory processes (breathing). 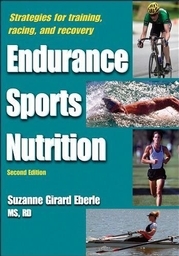 Endurance athletes, such as marathon runners, however, demand more than normal functioning from the body. When you push hard aerobically for an extended period of time, you tax your body’s ability to eliminate excess carbon dioxide, and you face a potential CO2 buildup. As your body works to eliminate the extra CO2, don’t choose a recovery drink that’s carbonated—that is, a beverage made bubbly by the infusion of CO2 gas. Ironically, you will sometimes see beverage companies offering bubbly drinks during and after races. At the very least, dilute any carbonated beverage by adding an equal amount of water before your drink it. Otherwise, beware of the most obvious negative reaction: carbonation can cause stomach bloating. In short, you may feel lousy in addition to the beverage not providing the benefits you seek. Premixed drinks with a prescribed concentration of carbohydrates and other nutrients and additives; in terms of both composition and packaging, these drinks are usually better suited for use after workouts. There are other ways to view your drink options, too, particularly in light of the electrolyte discussion. They concern sodium, calcium, and other elements in the drink; herbs for different aspects of recovery; and patented (or patent-pending) formulas that distinguish one carbohydrate mix from another. Research (Maughan and Shirreffs 1998) has shown that electrolyte loss is a personal matter. The optimum drink for you may be quite different from that of another athlete. This fact is one reason why some top trainers persistently believe that athletes don’t lose enough electrolytes in the first 90 minutes of intense aerobic exercise to require any recovery fluid except water. At the same time, there is widespread agreement that ingesting either carbohydrate drinks or water and a carbohydrate bar, for example, replenishes lost glycogen. The electrolyte research cited previously reflects current thinking that replenishing some of the electrolytes is not only desirable but also necessary for endurance athletes. Your individual metabolism, temperature, and level of exertion all influence the electrolyte loss, however, so the same drink with the same concentration of carbs and electrolytes won’t be ideal for every athlete or even for the same athlete under different conditions. This variability is one of many reasons you should keep a log to help you refine your workout regimen and your choices of sports food. Pay attention to how you feel after a brutal cardiorespiratory workout, and adjust the amount of fluid you take in according to how you feel. Signs of electrolyte imbalance include fatigue, tremors, diarrhea, and nausea. Generally speaking—and this is just a benchmark number—a good sodium level for a recovery drink is 100 to 110 milligrams for every eight ounces. Take a look at what’s out there: the sodium (Na) content in sports drinks ranges from around 10 milligrams to well over 100.